Mai is fifty years old and she lives in the area of Takeo, 70 km South of Phnom Penh. 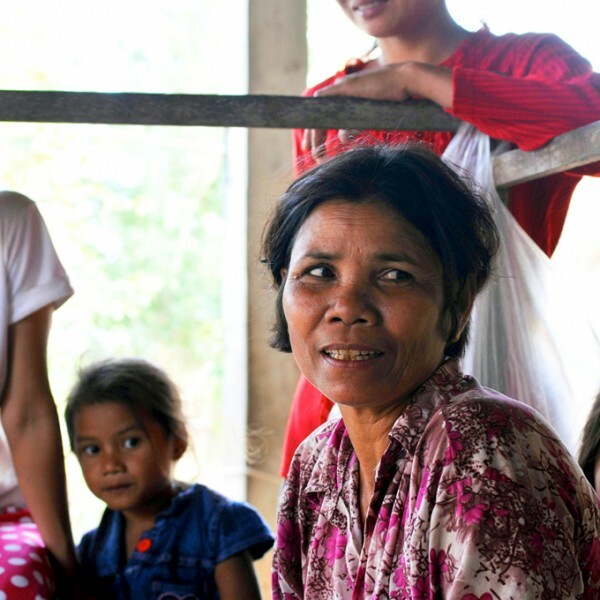 She lives in a traditional Khmer house built on stilts with her whole family. She has learned how to weave from her mother at the age of thirteen or fourteen at the time when girls are compelled to leave school and need to acquire some skills which will be useful to them. 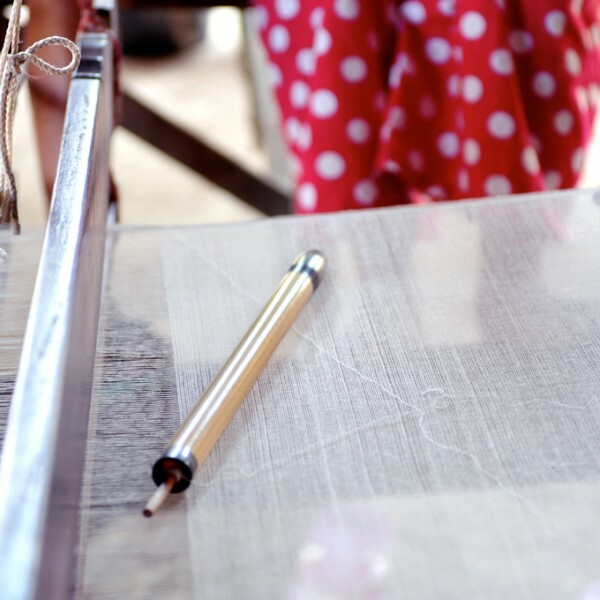 Mai collaborates with Han, a Korean missionary, founder of a Phnom Penh-based NGO which develops textile collections in silk and cotton using traditional techniques, and employs around one hundred families in the area of Takeo. 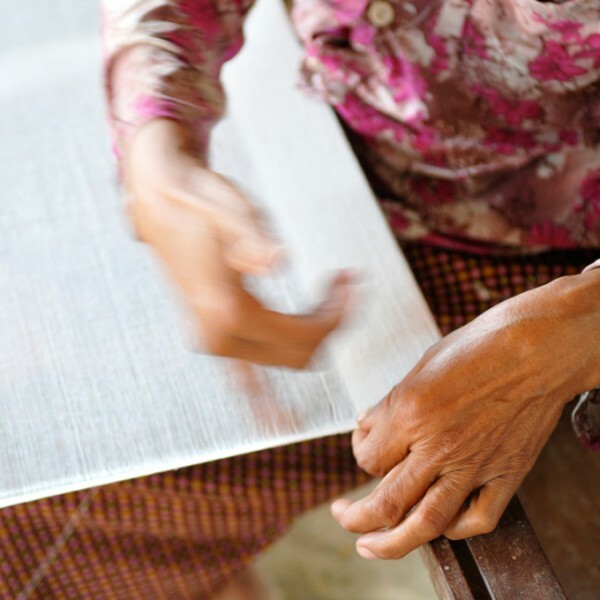 The yarns are dyed with natural pigments in Phnom Penh and then are handed over to the weavers so that they can produce scraves which will be sold by the NGO. Villages joining this program can be ensured to earn a stable income enabling them to improve their daily lives, help their families and also promote the education of their children. 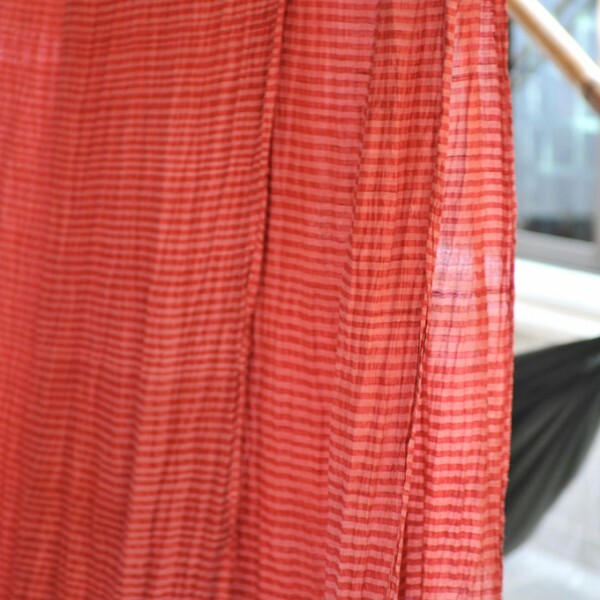 Soon, Han will build a community production workshop in the village in Takeo, so that the weavers can have a working place close to their homes. 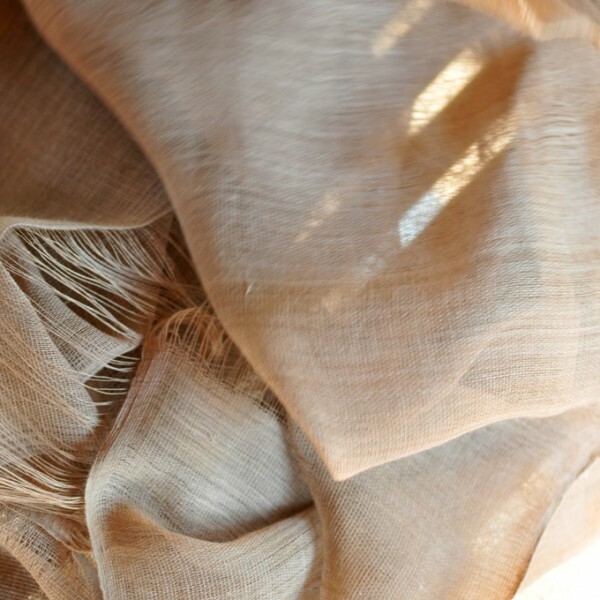 The Khmer Rouge regime has been very harmful to this traditional practice and it nearly destroyed the transmission of weaving in Takeo. 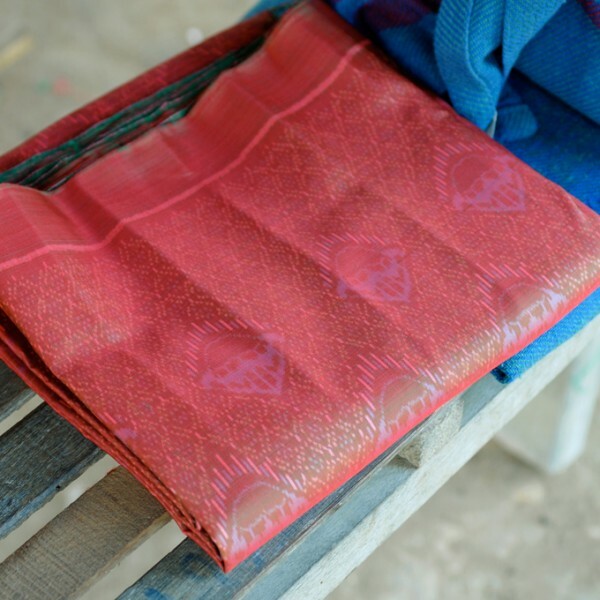 The most beautiful Sampot Hol, sarongs and kramas ( the rectangular pieces of traditional ancient tradition, worn on all occasions by Khmer people) were produced here. 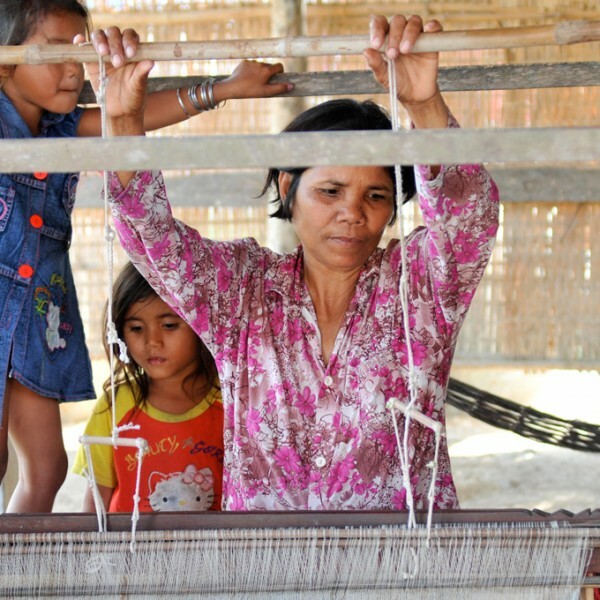 Today there are about 8000 families who still practice weaving in this province, in the districts of Bati, Saomraong and Prey Kbba. 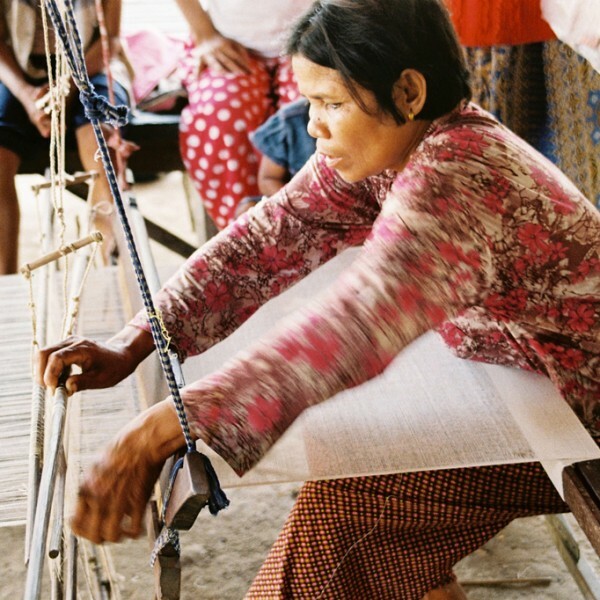 After having warped and combed the yarns on the wooden loom, Mai can begin with weaving. Every day, as soon as possible, she settles on her loom located outdoor on the ground floor, right between the stilts of the house. This is also the place for farmers to rest, well sheltered in the shade, to protect them from the heat. 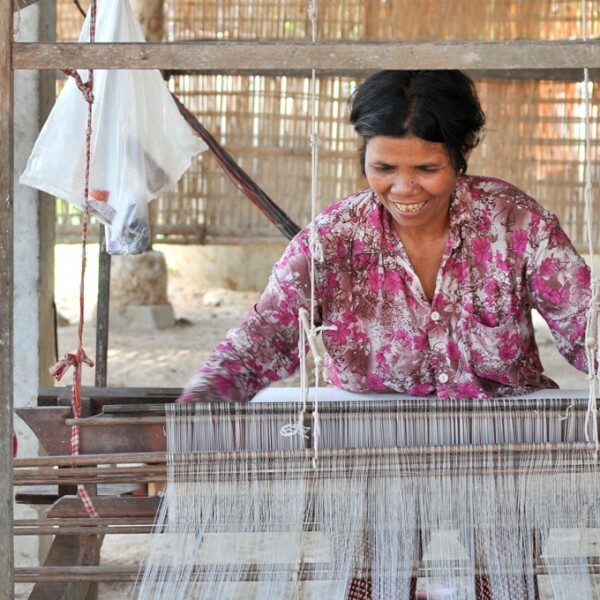 She can then take care of her grandchildren, while continuing her weaving. Her smile is so contagious and generous. It was nice to see Mai weaving with great energy surrounded by all generations of her family: her daughters who are also weavers and her curious and liveful grandchildren.